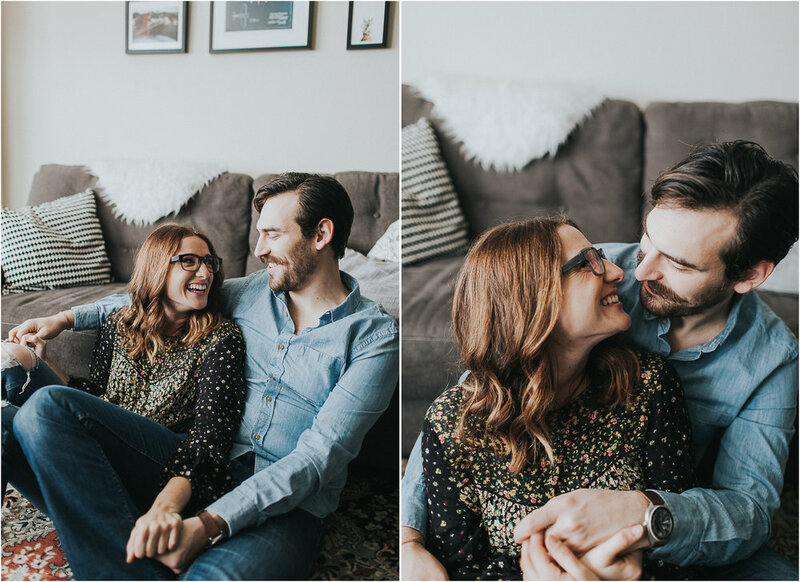 Nothing is more cozy than photographing a couple in their own home. Moving in and living with a significant other is a big milestone in any relationship, and I had the pleasure of photographing Aimee and Ittai in their cute Pacific Heights apartment. She shares her thoughts on partnership and living with a significant other on her blog TheOhioTransplant!